Fire crews were called after midnight following reports a car was on fire on a drive way. One fire engine from Nelson attended the blaze on Colne Road in Brierfield. 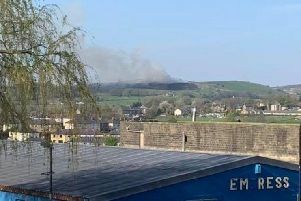 A spokesman for Lancashire Fire and Rescue said: "Firefighters quickly extinguished the fire which is believed to have been started deliberately."